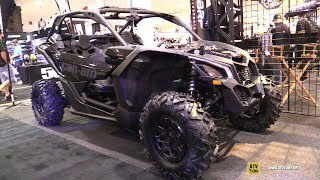 This new 2019 Can-Am™ Maverick X3 X DS Turbo R ATV for sale has 0 miles. The color is TRIPLE BLK. It is offered for sale by Gainesville Motorsports and located in Gainesville, GA. The listing # is 65744. For the fastest response send an email via the form above. This vehicle is SOLD. YYou crave control, so here it is: fully-adjustable FOX PODIUM 2.5 RC2 Piggyback shocks, 172 horsepower, and 2 or 4-seats. Drive like a Maverick with unparalleled flexibility on any terrain. Ready to pay your respects to the king of side-by-side engines? The precision-engineered, industry-leading triple-cylinder Rotax ACE engine pushes 172 horsepower at 7,250 RPM and 124 lb-ft of torque at 6,500 RPM for searing speed, no matter the terrain. Choose your thrill-seeking friends wisely for a ride off-road they'll never forget. With an intake and exhaust tuned to maximise power, efficiency, and throttle response, the Can-Am Maverick X3 MAX will never be starved for performance. Three oversized, out-of-the-way intakes feed the engine and the CVT with clean air and keep temperatures low, with a sport exhaust out back to let the Rotax ACE engine roar. Our engineers are rightfully proud that the Maverick X3 MAX features an ultralight, rigid chassis made of state-of-the-art Dual-Phase 980 steel. Not only is it strong enough to allow the suspension to do its magic, it's the most efficient way to both harness 172 horsepower and keep your passengers on lock. A compact, high-performance QRS-X CVT has been calibrated to work with the turbo to virtually eliminate lag, without shifting or torque interruption to slow you down. Its large drivea long, wide, and thick beltis our most robust three-roller pulley design yet. For next-level traction to conquer the roughest terrain, Can-Am-exclusive Smart-Lok* technology is the new benchmark. A true full lockable on-the-fly front differential with electronically-controlled automatic modes, or with the simple press of a button that offers preset, intelligent calibrations for your type of riding. Using multiple input sources, Smart mode� will instantaneously engage locking with the right load at the right moment. Never before have riders been given maximum traction while retaining low-speed maneuverability. Can-Am's four-link TTX suspension with 20-in of travel features a trophy truck-like trailing arm and three links dedicated to controlling camber while delivering optimal geometry at all times, even during extended wheel travel. The result? Unparalleled power transfer to wheels, virtually no bump steer, precise steering response, more confidence at higher speedsand four huge grins. 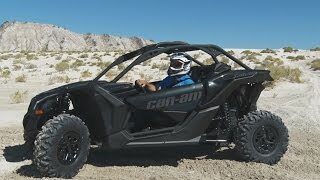 With a chassis built to conquer any terrainand a wheelbase 15% longer than the Polaris RZR XP4the Maverick X3 MAX is not only at home in rough terrain but comes alive with confidence at high speeds. From its arched double tubular A-Arm and sway bar up front to its race-inspired quick-ratio D-shaped steering wheel, Tri-Mode DPS system, and Intelligent Throttle Control (iTC), it's handling you should experience for yourself. The average price of a 2019 ATV for sale is $12736.78. This model is priced $12662.22 more. The average price of a 2019 Can-Am ATV for sale is $16368.35. This model is priced $9030.65 more. The average 2019 Can-Am ATV for sale has 33 miles. This model has 33 less miles. There are 111 Can-Am ATVs for sale within 150 miles of Gainesville, GA. If you looked at the average 2018 Can-Am ATV for sale it would cost $11487.82 less. 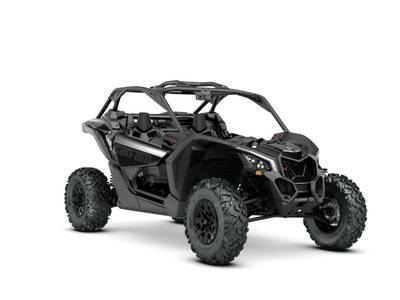 The average price of a 2019 Can-Am Maverick X3 X DS Turbo R ATV for sale is $25329.18. This model is priced $69.82 more. 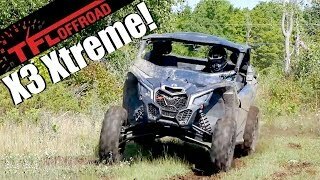 The average 2019 Can-Am Maverick X3 X DS Turbo R ATV for sale has 501 miles. This model has 501 less miles. There are 3 Can-Am Maverick X3 X DS Turbo R ATVs for sale within 150 miles of Gainesville, GA. 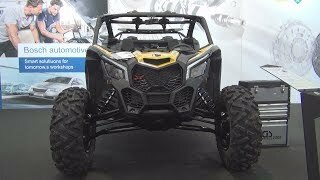 If you looked at the average 2018 Can-Am Maverick X3 X DS Turbo R ATV for sale it would cost $2914.53 less. 3. 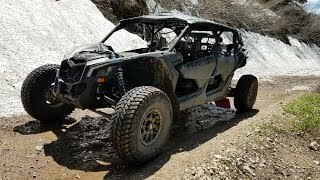 Can-Am Maverick X3 Turbo R Review- The Most Powerful and Bonkers Side-by-Side Ever! 5. 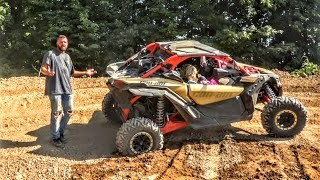 Annoying Design flaw in the Can Am Maverick X3 Turbo? 6. 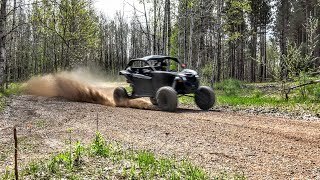 Maverick X3 Turbo goes 90 mph down Forest Trails!